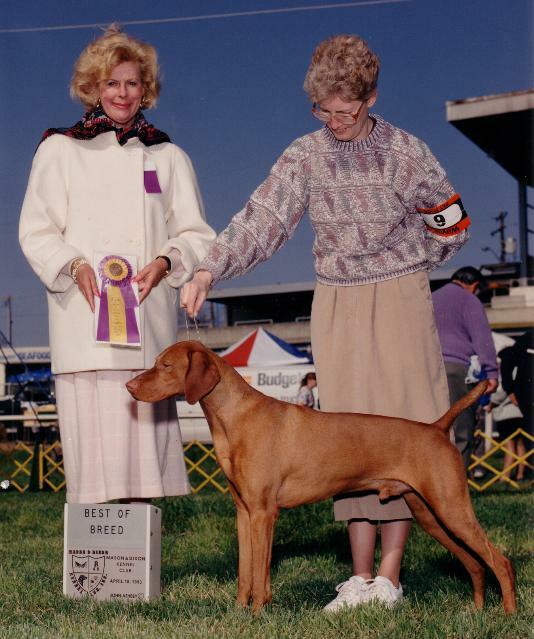 BISS winners on Duke's pedigree, along with a Best In Show (BIS) winner. 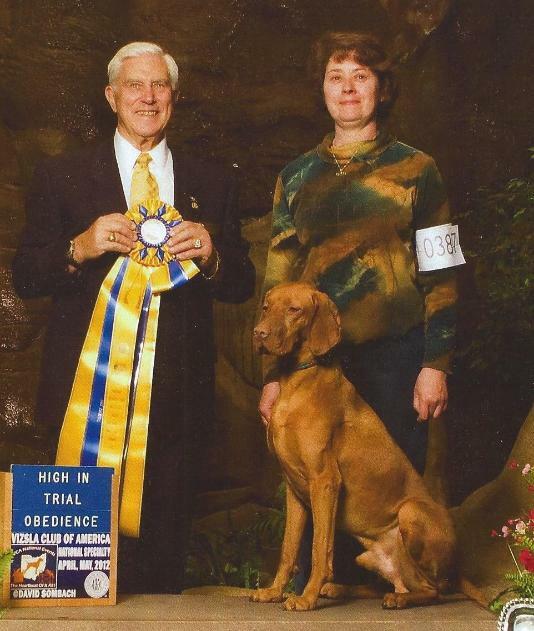 Multiple Best Of Breed winners. 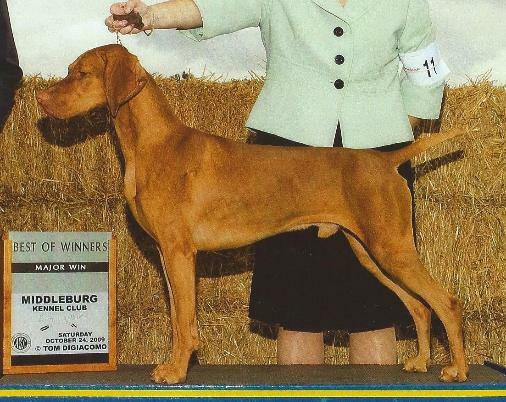 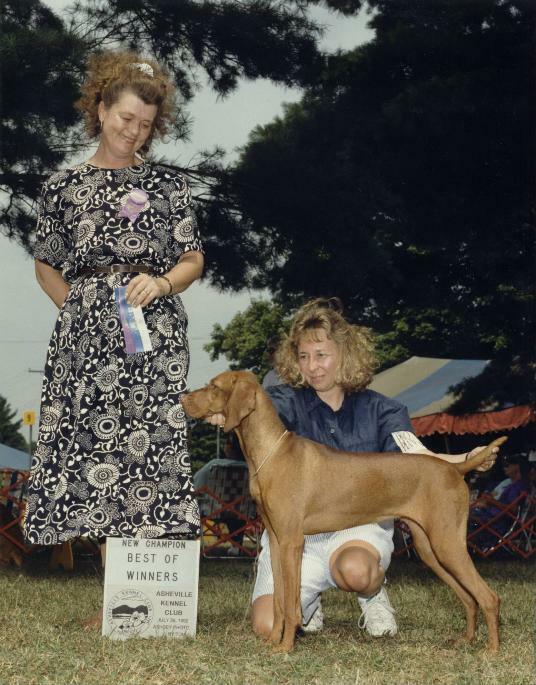 SIRE: BISS Am/Intl CH Russet Leather Red Wolf "Henry"
DAM: CH Legacy's Sports Fan-ci JH "Fanci"
Breeder(s): Sheila Denzler "Encounter Vizslas"
Honorable Mention: Karat was a beautiful producer. 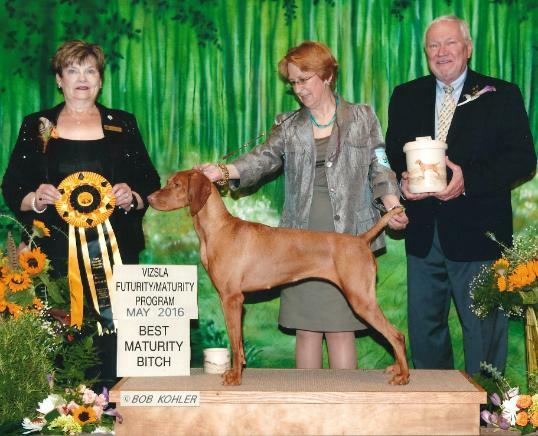 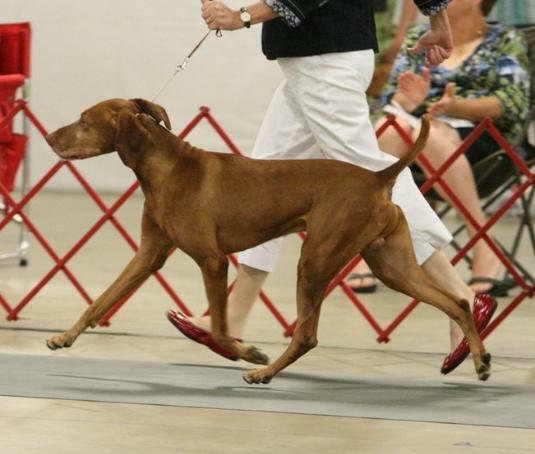 CH Banker's Koppertone Penny "Penny"
CH Banker's Red Light Special "Special"
DAM: CH Amberway Forty Karats ROM "Cary"
Owner(s): Ed Foster Jr, Rita Mather "Sleepy Hollow Vizslas"
Topeka Kansas May 8, 2016, following the VCA National Specialty Events. 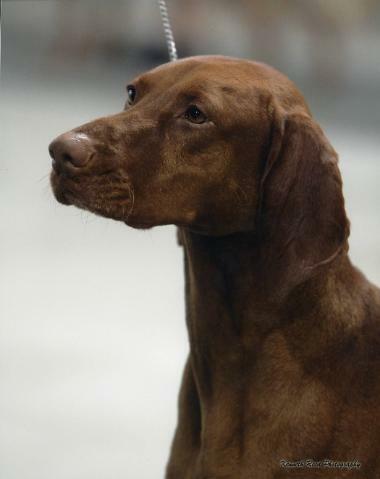 during the VCA National Event week. 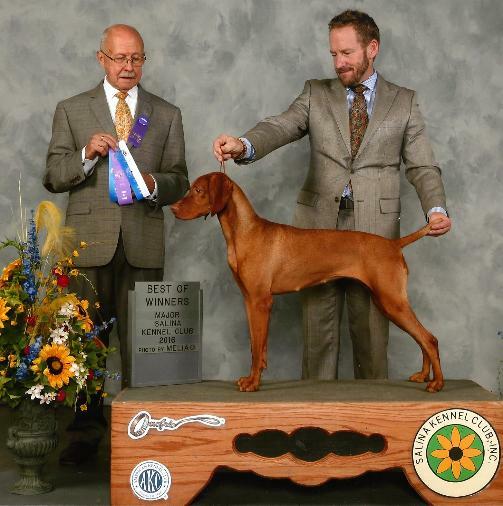 DAM: GCH CH Elgin Cariad Something To Talk About "Shelby"
Breeder(s): Ed Foster Jr, Marion Coffman "Cariad Vizslas"
Senior Hunter (SH), Registry Of Merit (ROM). 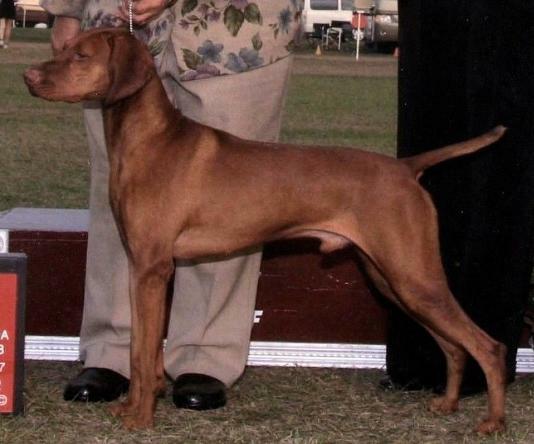 DAM: CH Sagi's Misty Bey of Bethwood ROM "Misty"